The clean, sharp design and precision engineering of this award make it fit to reward achievement at the very highest level. Crafted in flawless optical crystal, it features a clear glass column with full-length diagonal cut from top-right to bottom-left, set on a bevelled blue glass base. 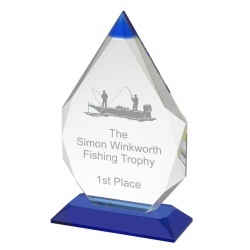 Offered in three size options, they can be engraved on the large diagonal plane. 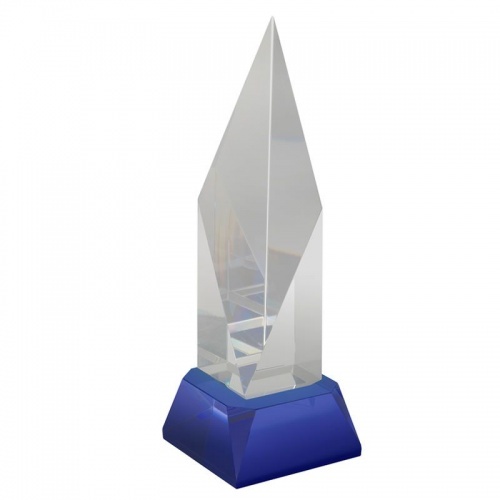 Each award is supplied complete with an attractive foam-lined presentation box. Available in three size options. Blue tip & base, clear body, supplied presentation boxed. 3 sizes.